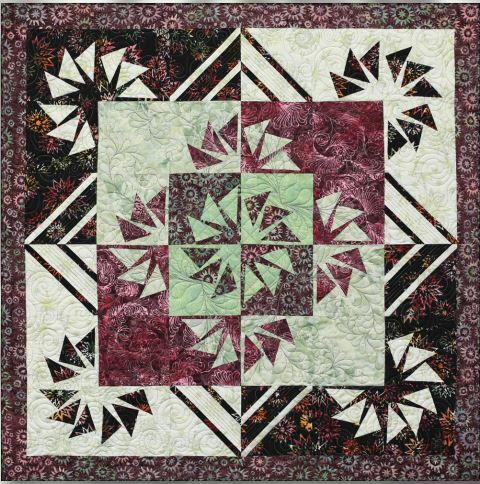 One of Quiltworx’s newer patterns — specifically designed for the beginning quiltmaker, beginning foundation paper piecer or anyone looking for a fun, quick project! To make the quilt you need the Cut Loose Pattern, 1 Charm Element #18 and 1 Charm Element #19. When you click Add To Cart — you will receive all 3 items. 40″ x 40″ — but you could easily enlarge this quilt by purchasing additional Charm Element packages.